UNIQUE PRIVATE ISLAND RETREAT! This beautiful "Contemporary/ Traditional style home, set on a 1.28 acre estate setting of green manicured lawn, with mature landscaping, a long winding driveway and over 200 feet of water frontage. The house has a spacious lanai and pool area, with a pool long enough to do laps! And If you like golf, youll enjoy watching the golfers from your Lanai and Pool Area, as this property abuts the fairway on one of the courses in the Marina. Take a drive by and youll be intrigued to see if the inside is as spectacular as the outside.and it is! 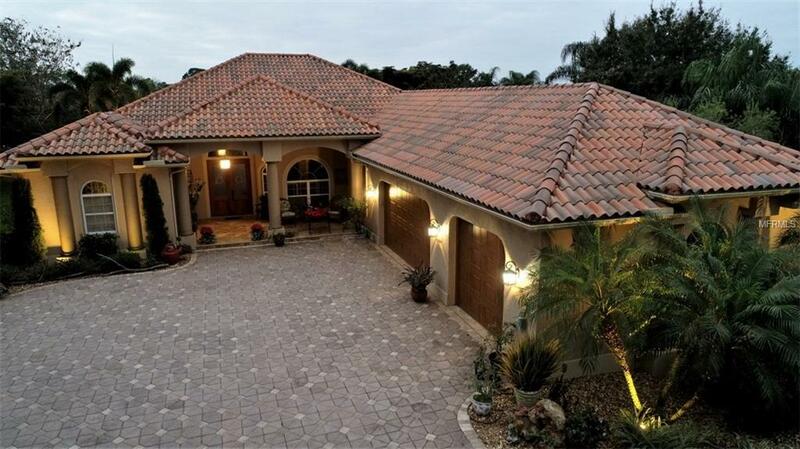 The interior features a 31 master bedroom, generous sized rooms, custom built cabinets, granite countertops, crown moldings throughout, vaulted double pan ceilings, abundant storage and even a 34 x 23 garage with a porcelain tile floor. This property has all the amenities and attention to detail, you would expect of a custom builders private home. Too many features to list! The furniture is negotiable as well. CALL NOW TO VIEW THIS PROPERTY! Amenities Additional Fees Golf Activities Cub Freedom Boat Club Fitness Center Tennis Pickel Ball Several Restaurants.